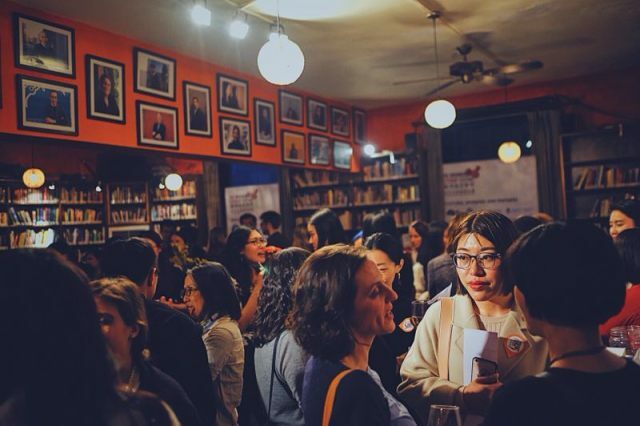 As a journalist covering human rights and women’s issues in Greater China since 2012, Joanna Chiu has seen firsthand the countless talented female academics, journalists and writers producing insightful work on these subjects. Why then, are ‘manels’ (a panel full of men) still the norm, and why are the ‘China experts’ who publish high profile books on the region still overwhelmingly male and mostly white? 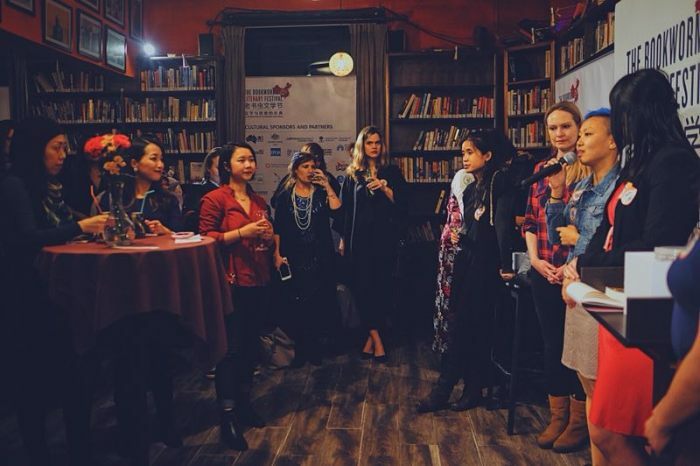 Chiu, who is currently the China and Mongolia Correspondent at AFP, sought to rectify this issue in January 2017 by creating the Greater China Female Experts Open Directory, a crowdsourced Google doc with nearly 500 women who are qualified to speak and write about China. The Beijing launch of NüVoices. 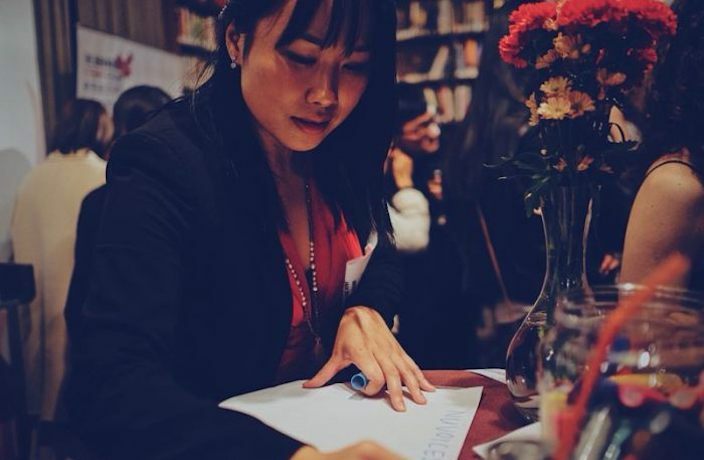 Expanding on this idea is her latest project, NüVoices, a collective of journalists, artists, translators, writers, and editors who are working to amplify female voices on China today and empower female writers of Chinese descent to tell their own stories. They’ve got an anthology in the works, and are doing grassroots advocacy like a recent call to crowdsource global resources for sexual assault survivors. 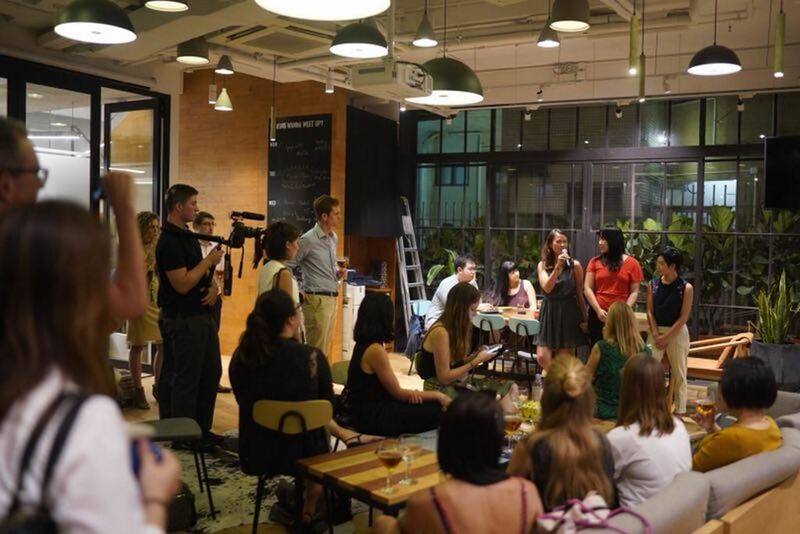 After launching in March in Beijing, NüVoices is rapidly expanding around Greater China and overseas, and they are hosting their Shanghai launch this Saturday afternoon at Bitter. We caught up with Chiu beforehand to hear more about the changing landscape of China reporting and what to expect at the launch. What first motivated you to found the Greater China Female Experts Open Directory last year? It happened organically. There was a growing awareness about how people are sick of “manels” and all these talking heads – the majority of whom are men – across all sorts of disciplines, in every country. And in the China world, there was that conversation too, and some frustration because there’s actually been more and more female academics and journalists all doing really great work on China. So this idea came out of many conversations among female journalists, and I just wanted to do something about it. I thought it would be quite easy to just have a Google doc that was completely open to crowdsourcing from around the world. I added the first 50 people but after that I haven’t really sought people out – it’s all been crowdsourced, with people adding themselves. Now it has almost 500 people. What sort of results have you seen since you created it? And a lot of women say it was a good push for them to put themselves out there, to think that it’s a worthwhile thing to do. Why do you think it’s especially important to encourage women to advocate for themselves in ways like adding themselves to a list of experts? Around that time last year, [Financial Times reporter] Lucy Hornby and I and other journalists in China were talking about how there are different factors to this, including social factors that influence how women think and behave. These social factors may make a woman more likely to be humble. A lot of us journalists who try to reach out to experts in the past have noticed that, more often than male experts, female experts would reject the interview because it wasn’t exactly their area of expertise. And often they’d recommend that journalists talk to one of their male colleagues instead. For whatever reason, there is a lot of unwillingness to speak beyond what someone believed was exactly their area of expertise. So, say a politics professor studying China might say, “Oh, my expertise is in elite politics, not ground level politics,” or something like that. But the problem is that there are people who have a lot more confidence, who will pretty much give a quote on anything. I think that somewhere in between is the happy medium – where you get people who are experts who give really good insight and you don’t get people who just recycle the same sound bites they give to every journalist. NüVoices and the list are helping to change those dynamics a bit, so that people feel more confident that, yes, they are an expert, they are qualified to speak. What's the motivation behind the upcoming NüVoices anthology? Some writers and artists in Beijing were talking about how most books about China are still written by men, often by white men. It couldn’t be just a coincidence – some of us had our own experiences talking to agents and publishers. Several people said they got feedback saying that an agent was not comfortable working with them because they weren’t a “big name,” a recognizable name on China. There’s some sexism there, because the names they would list, they were all men. So there are definitely some structural glass ceilings for women in publishing. There are so many female journalists and academics, but these factors lead to mostly men being published. Even if the agent or publisher does not themselves think that way, they may perceive, perhaps rightly so, that some of the public believes that someone who has authority on a subject looks like a middle-aged white man. The Hong Kong launch (photo by Jens Schott Knudsen). What kinds of submissions are you accepting? We were inspired by an anthology in the UK that was crowdfunded. It's called The Good Immigrant. It's an anthology of essays and stories by immigrants in the UK. And it became a bestseller, a sensation. It proved categorically that there was a market for good writing by ethnic minorities. So we wanted to do that for writing by women, especially women of Chinese descent and Asian descent, on China. We started working on that last year, and we are still accepting submissions on a rolling basis. So far we are working with about 18 different writers on their first and second drafts. It’s coming along. You have an all-star team of editors including veteran journalists and novelists like Lijia Zhang working on the anthology. How did that group come together? Yes, we have a board of experienced journalists, literary writers and translators. There are 13 of us, and most of us are involved in the actual editing process and giving feedback. Our goal is to get some showcase pieces together for a book proposal. We’re all volunteers, though we’re working on doing fundraising and applying for grants so that eventually it could be more sustainable. 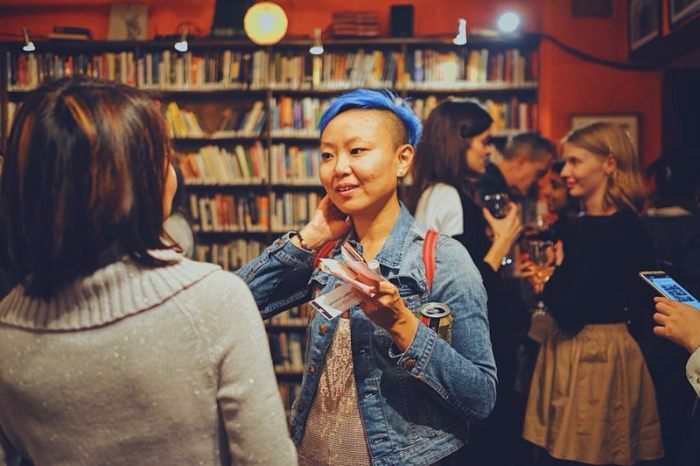 With your focus on women writers of Chinese descent published in English on an international platform, how is NüVoices working to promote intersectional feminism? That’s a big part of what we’re trying to do. It’s not just about gender. The voices that get featured on China in English are often people who speak English as a first language and are from Western countries. The stories we hear from Chinese women are often indirect. They are being interviewed, for example, rather than doing the writing themselves. We don’t want to give their names for security issues and privacy, but we have some quite prominent Chinese feminists who have agreed to write for us for this anthology. And also a Tibetan woman has put together a really nice story with some paintings to illustrate what it’s like to be a woman on the Tibetan plateau. When we are commissioning works from foreign women in China, we ask them to focus on the experiences of local people. So rather than through our lens, to try to tell a story through the lens of the people we are featuring. For example, a journalist pitched a story about having a Chinese mother-in-law, so we encouraged her to really interview her mother-in-law and really give the reader a sense of her perspective. We want to experiment with the viewpoints to make sure there’s diversity. And also, part of our fundraising goal is to be able to fund translations of works in Chinese into English. What role did the #metoo movement play in sparking the launch of this project? In the anthology, some of our pieces are going to be about sexual harassment and domestic violence, because these are issues that are really prevalent and under covered in the China context, including for foreign women in China. These factors, including structural sexism and discrimination, are a factor in why we see that women’s voices are less prominent. So we think it’s all connected, and we think if there’s a safer environment for women, that will promote better work and more of an equitable community in general. So it’s definitely part of our work. Tell us about your own journalism background and how your interest in women’s rights in China developed. I was born in Hong Kong. I’m Canadian; my family immigrated to Canada when I was quite young. And I learned about human rights issues in China, especially women’s rights in China, from a pretty early age. That really made an imprint on me because I was lucky to be able to grow up in a completely free society. And it was tough for me to imagine that if I had been born in Mainland China, my parents might not have wanted me because of the One Child Policy, where having a boy was more desirable. So I was always interested in human rights and women’s rights in China. That was my focus of study at university and my master’s in journalism. I moved to Hong Kong in 2012, and I’ve been reporting on mostly social issues in greater China and Asia ever since. What can we expect at the Shanghai NüVoices launch party this Saturday? We’re having it at Bitter. We have the whole place to ourselves, and it’s kind of a salon-style discussion. At each event, we do a quick intro to what we’re about and then we post some questions to everyone for discussion. Such as what I talked about before: How come there are not more women on panels on China? Why aren’t there more women writing books about China? And what can we do about it? What can we do to support each other? It’s a place to share and also collaborate, along with really conscious network-building. Our model is that we want women and men involved, and not only journalists, but also people from different creative fields, like artists, translators, designers, NGOs, and researchers. We think that networking between different groups can give fresh perspectives and make connections that you normally wouldn’t make. NüVoices Shanghai Launch Party, Jun 16, 3-6pm, RMB100. Bitter, see event listing. Send a pitch to NüVoices here. To add a name to the Greater China Female Experts Open Directory, email Joanna at contact@joannachiu.com. All photos are of the Beijing launch party by Fan Yu unless otherwise noted. Contemporary art queen Yayoi Kusama on seeing circles and copycat works. Entering its 18th year, this massive arts festival welcomes some of the world's finest dance, theater and art groups. Our predictions for China's entertainment industry in 2016. The newly appointed director of the Shanghai Gallery of Art – for which he has been a curator since 2004 – Zhang Yi has been a long-term observer of Chinese art.